Here is the official file, straight from Google. As you can see, the build has changed to IMM76L. *Instructions require a USB host cable (like this) and USB drive/stick. 7. Scroll down to “apply update from USB drive” and select it with Power. 8. Scroll down to the .zip update file from above and use Power to select it. 9. 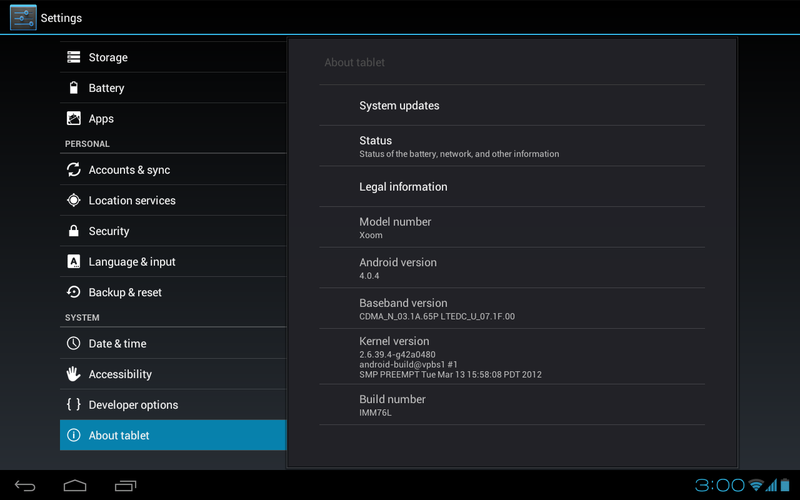 Your XOOM will now update. *Note – If you know another method for manually updating, please let us know in the comments.